I’m back with another video attempt on a topic very close to my heart – beauty bargains, and some of the best budget lip products that I’ve found. Such is my love for bargain lippies that I’ve gone and smudged some on my teeth for this very video! Ah well, onwards and upwards – and good news folks! My next video is a giveaway, so do get subscribin’. 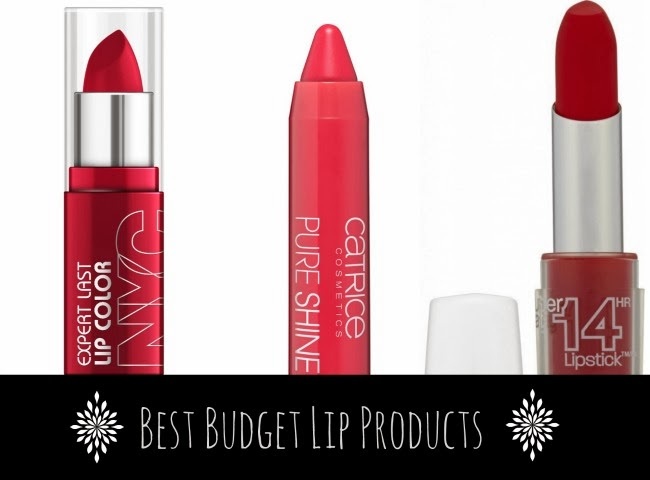 Check out this post for more of my budget beauty favourites - and do leave yours in a comment! Another fab video Emma, I love the colour you're wearing on your lips. Love the video! The Maybelline Lipstick is just fab! Love it! Great list Emma! I love Revlon lip butters and really need to try NYC, Rimmel, and L'oreal lipsticks too! Great picks. I'll have to check some of these out! I love so many of these too. The L'Oreal is what I put my money on. I have 4 shades. It's the best! Ciao Emma, good, I will go to see the video now! I loved this video (plus I could listen to you talk all day). Please do more videos!! I loved this video! First, that lip color you are wearing looks amazing on you. I definitely took note of a few of these and I am excited to pick them up now! I was excited about working from home/ not wearing makeup today and then I watched this and wanted to do my makeup immediately haha! I want to try that thing that looks like a Clinque Chubby! Great advice; first time I heard about the concept of cascading in the make-up industry.